Imagine being born into a world where everything about you—the shape of your nose, the look of your hair, the place of your birth—designates you as an undesirable, an inferior, a menace, no better than a cockroach, something to be driven away and ultimately exterminated. Imagine being thousands of miles away while your family and friends are brutally and methodically slaughtered. Imagine being entrusted by your parents with the mission of leaving everything you know and finding some way to survive, in the name of your family and your people. 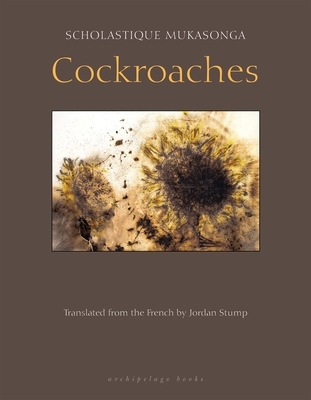 Scholastique Mukasonga's Cockroaches is the story of growing up a Tutsi in Hutu-dominated Rwanda—the story of a happy child, a loving family, all wiped out in the genocide of 1994. A vivid, bitterwsweet depiction of family life and bond in a time of immense hardship, it is also a story of incredible endurance, and the duty to remember that loss and those lost while somehow carrying on. Sweet, funny, wrenching, and deeply moving, Cockroaches is a window onto an unforgettable world of love, grief, and horror. Born in Rwanda in 1956, Scholastique Mukasonga experienced from childhood the violence and humiliation of the ethnic conflicts that shook her country. In 1960, her family was displaced to the polluted and under-developed Bugesera district of Rwanda. Mukasonga was later forced to leave the school of social work in Butare and flee to Burundi. She settled in France in 1992, only two years before the brutal genocide of the Tutsi swept through Rwanda. In the aftermath, Mukasonga learned that 37 of her family members had been massacred. Twelve years later, Gallimard published her autobiographical account Inyenzi ou les Cafards, which marked Mukasonga's entry into literature. This was followed by the publication of La femme aux pieds nus in 2008 and L'Iguifou in 2010, both widely praised. Her first novel, Notre-Dame du Nil (Our Lady of the Nile), won the Ahamadou Kourouma prize and the Renaudot prize in 2012, as well as the Océans France Ô prize in 2013 and the French Voices Award in 2014, and was shortlisted for the 2016 International Dublin Literary award.